If you love stalking blogs, and want to read your fave blogs on the go via your smartphones or tablets, then you got to have NuffnangX! Erm, so what is NuffnangX? It is essentially a mobile app that allows you to receive updates from your daily blog readings on your smartphone or tablet as soon as they are updated. 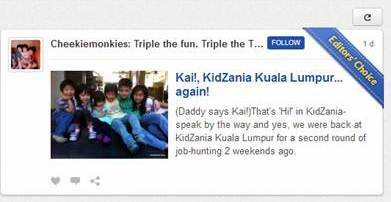 Think Facebook news feed, but only with updates of all the blogs which you follow. It is so easy to get started. Just download the FREE app via the iTunes store or Google Play store. Launch the app and find blogs you follow in the search box by entering its URL address. Once the blog is found, select Follow. This adds the said blog to your following feed. Using a proprietary algorithm, the app digests blog posts and pulls a single sentence that represents the gist of the blog entry, and presents this in the form of a news feed to you. Pretty neat huh. So even if you have no time to read an entire blog post, you are still kept updated through this one-line summary of the blog posts. Now you can stalk all the blogs you want, even blogshops too! But that's not all - Another interesting feature is the ability to directly interact with the bloggers via messages on mobile devices. So not only can you stalk, you can engage with them as well. So go ahead and stalk away... and do follow our blog on NuffnangX too! Pretty please? 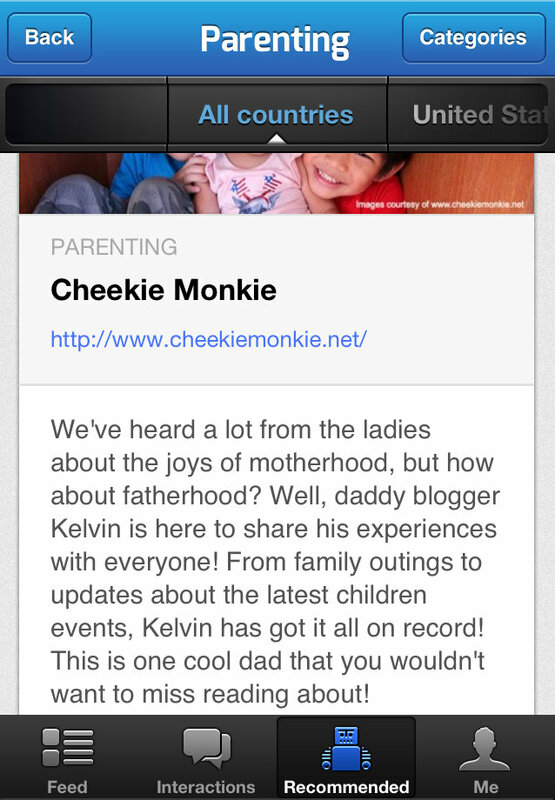 You can find our blog on NuffnangX HERE, or simply search www.cheekiemonkie.net in the app. NuffnangX is free to download and is available via the iTunes store for iOS devices and Google Play store for Android devices.